FC Barcelona secured a place in semi-final of 2016-17 Copa Del Rey Semi-Final with another good performance against La Real. Going in to the second leg with one goal lead was a a good thing and it was made better when Denis Saurez opened the scoring in the first half. But the second half of the second leg at Camp Nou was nothing short of crazy with a total of six goal being scored - four by us and two by them. Messi, Saurez and Turan scored along with Denis Saurez who ended the night with two well taken goals in his name. With the 5-2 second leg victory, Barca secured a 6-2 aggregate victory over one of the most feared rivals in La Liga this season; especially one which has been a head-ache for us always. FC Barcelona continue their pursuit of league leaders with a 4-0 victory away against Eibar. Dennis Saurez opened the scoring in first half and the sensational trio of Messi, Saurez and Neymar all scored in the same order in second half. FC Barcelona took a huge step towards qualification to next step in Copa Del Rey with and efficient 1-0 victory away against Real Sociedad. This was our first win at the Anoeta for ages; I don't remember when we win there last and may need the help of history books to trace that. In recent memory, any visit to Anoeta was a struggle for Barca; especially the last one before this where we were simply decimated by the Real Sociedad lads. Looking back to that match we did pretty well last night with Neymar scoring the decisive away goal through a Penalty. Superb Compilation video of Andres Iniesta from the Year 2016. FC Barcelona secured their second win of 2017 with a 5-0 thrashing of Las Palmas at Camp Nou. FC Barcelona overturned a 2-1 deficit from the first leg with an efficient 3-1 victory over Athletic Bilbao in the second leg of Copa Del Rey 2016-17 Quarter Finals. Goals from the magic trio was enough to secure Barca the much needed progress and the much awaited first victory in 2017. Lionel Messi scored continued his goal scoring form of 2017 with another wonderfully taken free-kick. In 2017, in three matches he has scored all from the set pieces. Lionel Messi may have secured a point for Barca with a stunner of a free kick towards the end of the match; but Barca's prospect of defending the title is been seriously called into question. It was yet another match we failed to take our chances and also the Referee's decision making didn't help either. With this failure we have already five points behind Real Madrid who has a game in hand; making the lead effectively eight points. Barca is still waiting for the first win of 2017; a year they couldn't afford any slip-ups. 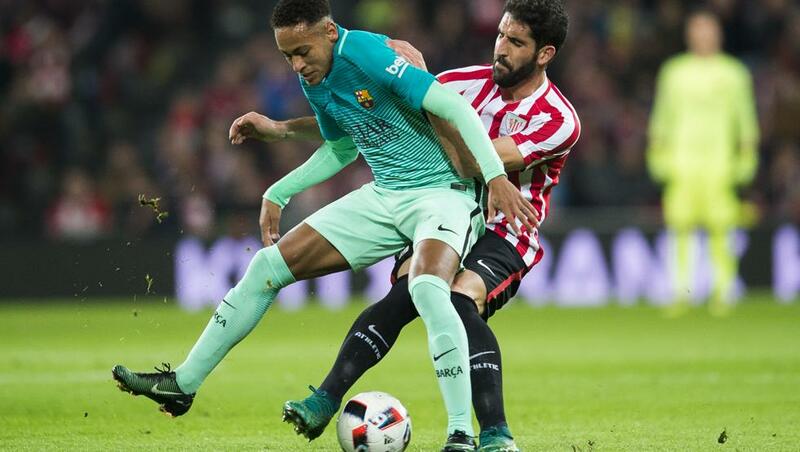 FC Barcelona started 2017 with a defeat at the hands of Athletic Bilbao away from home in the first leg of Copa Del rey clash. The tie is interestingly poised with a simple victory at home enough to take us through.